Mass Effect: Andromeda will cast players as explorer frontier-folk, looking to find a new home for humanity. And, just like any attempts to plant a flag on new territory, there’s going to be a lot of fighting along the journey. 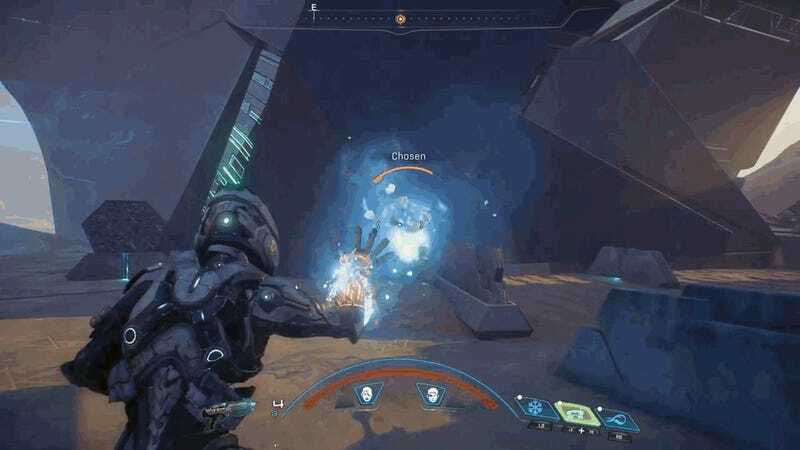 A new look at Mass Effect: Andromeda’s gameplay focuses on combat, breaking down new weapon classifications, skill customization and Biotic super-abilities. This all comes across as a lot burlier than in past Mass Effect games but it kind of makes sense in the canon, seeing as how this is rougher terrain and you won’t have the infrastructure of a big military organization backing you up. Mass Effect: Andromeda comes out on March 21.